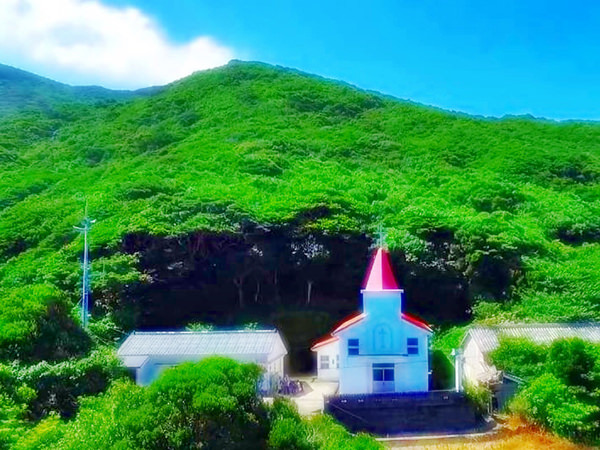 Akabae Church is a Catholic church, which stands on a hillside overlooking the sea between Goto Islands (refer to #514) and Kyushu Island (refer to #063). The first version of the church was built in 1884 and the current version was complete in 1971. 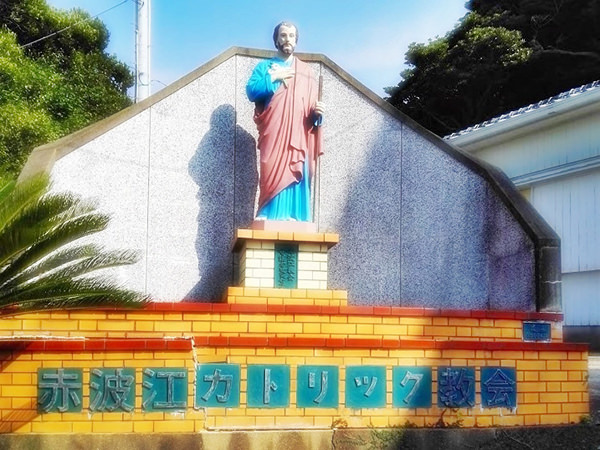 Akabae is the name of Christians who once propagated in this area in the late 19th century. The church has served as a place for the local people to pray for God.